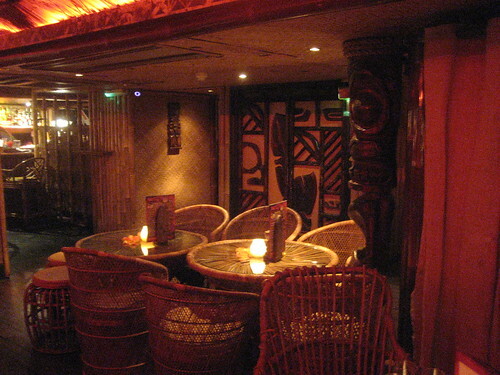 Trader Vic’s, London – This was the first overseas location of Trader Vic’s, opening in 1963 in the London Hilton on Park Lane. The decor is topnotch, with carved tiki poles, suspended outriggers, fish floats, large shells and bamboo, plus nautical touches like lanterns, model ships and small yacht club flags along the wall. Mahiki, London – Mahiki was one of the first in a new breed of tiki bar—it’s really more of an exclusive lounge/nightclub with a tiki theme. The owners wisely brought in CheekyTiki to do the decor and they went all out with tons of bamboo, lauhala matting, shell lamps, rattan chairs and tikis. 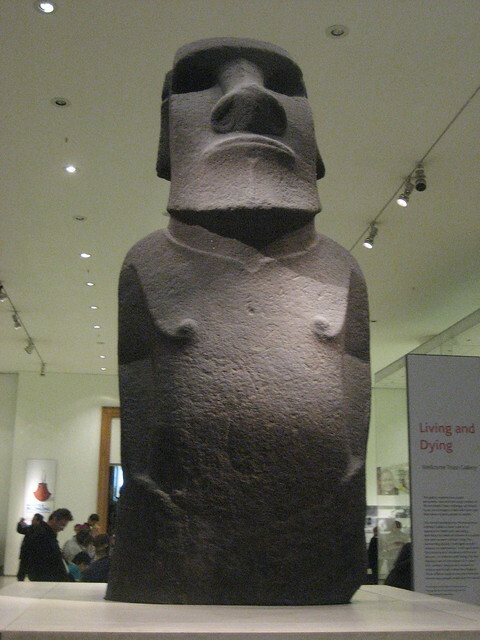 The British Museum – Along with the very impressive Egyptian collection, Parthenon frieze and Rosetta Stone, the British Museum also has a Moai, one of a thousand made on Rapa Nui. Enjoyed viewing your travels to various purveyors of tiki culture. Amazing how many get it all SO wrong. Thanks, Andrew! I’ve been meaning to go on a little road trip up there to check it out.